24.25 in. 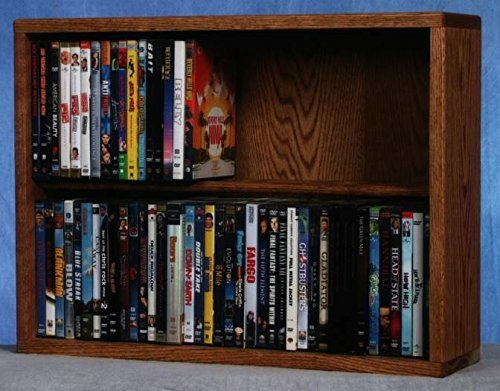 Dowel DVD Storage (Dark) by Wood Shed at Tobby News. MPN: 21524DARK. Hurry! Limited time offer. Offer valid only while supplies last. Two rows. Capacity: 80 DVD's. Made from solid oak. Honey oak finish. 24.25 in. W x 6.5 in. D x 18 in. Two rows. Capacity: 80 DVD's. Made from solid oak. Honey oak finish. 24.25 in. W x 6.5 in. D x 18 in. H.